The Nature. Of Nature. And the Natural Order. Of Nature. Today we will enjoy a lesson in Biological Science. Note: Please do not be discouraged by the intellectual level of this post. It will contain words and pictures, for the visual learner. It is a well-documented fact that Nature is clever. By it's very nature, yes. One might even say that it is the nature of Nature to be clever, yes. Note: If I have already lost you, dear reader, with this high-level analysis of the nature of Nature, please do not fret. Pictures appear shortly. For example, Nature provides disguises for its weaker vessels. Little duckies (the technical term is 'duckling') are born with fuzz that makes them appear puffier and larger and even more delicious. For example, baby deer (the technical term is 'fawn') have spots for five months or so, which appear to be splotches of dappled sunlight to predators, thus ensuring the safety of the wobbly little creature. Unfortunately, those same spots and dappled sunlight may be misconstrued by automobile drivers as, well, dappled sunlight, thus causing a potentially unfortunate incident. Note: Maybe another poor example. Imagine, then, my surprise and utter delight to see the nature of Nature right here in my own backyard! Our local hills are dotted with wild turkeys (the technical term is 'idiots') who parade around and fluff and occasionally suffer whacks to the head by errant golf balls, from which they recover quite nicely, thank you, on account of the fact that their brains are the size of a pea. The turkeys, however, are quite large and have no predators running wild around here, unless you count my neighbor Larry who likes to pop them with an air gun, now and again. 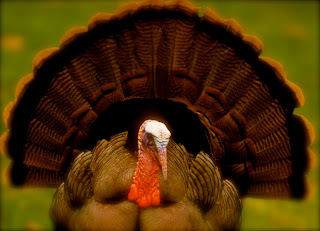 Because it is the nature of Nature to protect the weak, I have witnessed the actual evolution of a weak species seeking safety to become a dead-ringer for the Wild Turkey, with no known predators, aside from Larry, who incidentally, is a darned good shot. Because it is the nature of Nature to protect the weak, I am pleased to provide yet another example of the evolutionary process at work, right here, under our very noses. I Can See You, Dude. Your Car Does Not Make You Invisible. If you are driving on 580 between Richmond and Berkeley and a big nasty bug just splattered on your windshield, I have bad news. I just saw a dude in a black jetta pick his nose and roll his nasty booger into a neat little catapault, apparently, before launching it out of his sunroof. This single post may make my blog obsolete. Note: But publishing this post is a risk that I must take, yes. 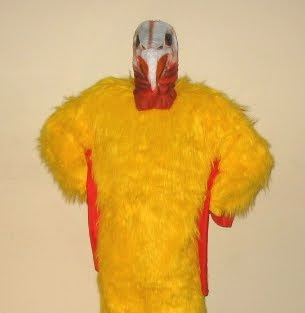 but, dear Followers, I will bite the bullet, yes. I will now reveal the secret. Note: I love the term 'Followers'. It makes me think of either those motley-looking kids trailing behind the Pied Piper or maybe a Mama Duck crossing the street trailing her ugly ducklings (no offense to my actual ducklings/offspring) or the believers of some freaky religious cult that pulls out their eyebrow hairs and drinks rabbit urine. 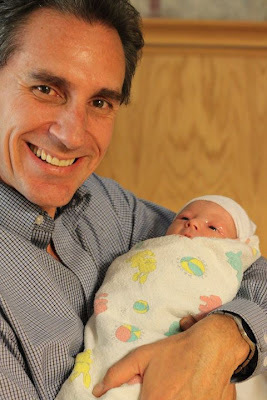 Note: No, the secret is not the acquisition of a husband, although hot diggity, that's one fine-looking Husband and no, the secret is not the acquisition of a baby, although hot diggity, that's one fine-looking baby. Look at the eyes of the Hub. Look at the smile. The genuine joy on his face. 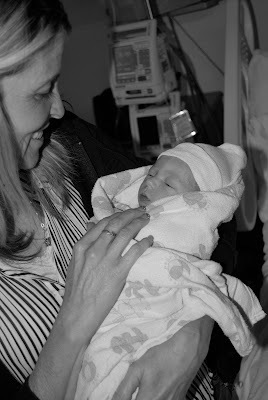 The delight of holding his Grand Boy. That's it, folks. That's all you need to be a Trophy Wife, or perhaps in this case, a Trophy Husband or maybe a Trophy Dude or a perhaps a Trophy Individual. Love. Love of family. Love of friends. Love of pets. Love of God. And recognizing it. And cherishing it. Note: Although I have revealed the secret, be sure that I have lots more to say in my blog. About stuff. All kind of interesting stuff. So keep lurking! And keep reading! Ah, yes. Souvenirs. And the amazingly well-written pamphlets which accompany them. Note: I am joking about the well-written part. Amazing, yes. On our girls' trip, Daughter and I are browsing. For souvenirs. Because we are on a pier, many souvenirs are ocean-oriented. Such as dead starfish and dead sea urchins and dead clams, poached in some marinade, probably a mixture of formaldehyde and tobasco sauce, waiting to be opened to reveal a pearl. A magical, fortune-telling pearl. "Don't you want the pure pearl to witness your pure love? Don't you want to start a legend and romantic love? 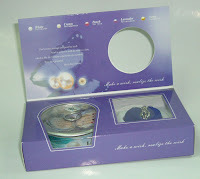 At present, the magic pearl has been sealed in a pot. It becomes a modern gift with a new appearance, presenting before you, not only a fortunate will be given to you, but also is a trend of fashion." 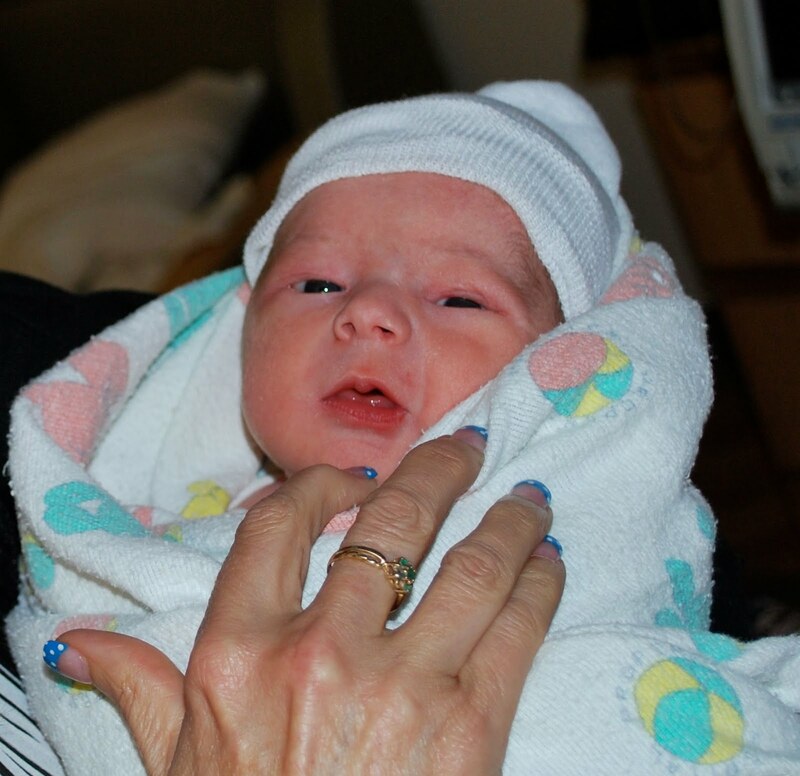 A little piece of heaven fell today. And landed in my heart. If I Were a Rich Man. Or Just a Man. In General. I would be this one. Note: You will know which one. Trust me. It's worth the click. Thirty seconds of your life. That's less than the amount of time you spend at a stoplight! It has come to my attention that some folks need a little in-depth instruction regarding driving. Perhaps you have encountered these same knuckleheads. Or maybe you are that knucklehead. As a public service, may I provide the following important information. 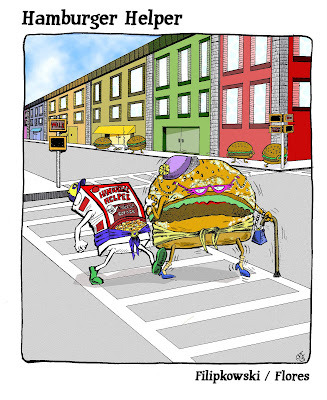 Remember, the life you save may be your own, especially if you are a knucklehead. For example, the word STOP can be loosely translated to mean "STOP, you stupid IDIOT!" 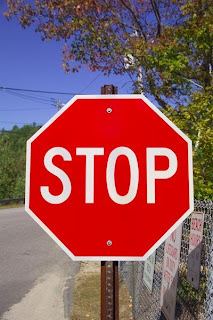 The word STOP does not mean "STOP if you feel like it" or "STOP only if the oncoming car is bigger than yours." 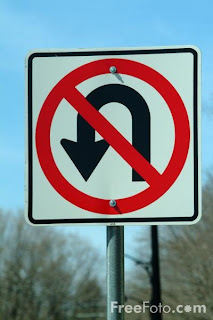 Let us move on and consider the "NO U-Turn Sign". It means, loosely translated, "What part of NO-U Turn do you not understand, you stupid IDIOT!" and not, for example, "NO-U Turn unless you are CLEARLY more special than other drivers, which is probably evidenced by the HUGE truck you are driving that if you are not careful, will knock down the utility pole you are GOING TO HIT if you attempt a U-Turn in that annoying vehicle." Then there is the YIELD sign. When a sign says YIELD, then one YIELDS. To everything. To everyone. 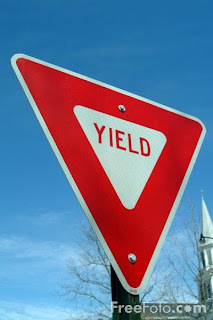 The YIELD sign means, loosely translated, "To give up the contest; to submit; to surrender; to succumb, you stupid IDIOT!" Eureka! The Secret to Eternal Youth. Is Mine! I am sitting at the frozen yogurt place stirring my concoction, a little. Note: My concoction is always the same, which is not such a surprise to anyone who knows me. Sugar-free, nonfat vanilla with a dusting of coconut, hot fudge and caramel sauce to create the illusion of German Chocolate Cake. Additional Note: And it weighs 3.8 ounces. Give or take a tenth of an ounce, or so. I am sitting at a table with two gorgeous high school seniors. The girls have long, cascading hair, full lips, lovely faces. Like I used to look, yes. Note: Okay, fine. Maybe not. A tall, nice-looking college-age dude enters and as men do, he checks out the girls at the table. The young ladies are oblivious to his glances as they laugh and toss their heads and whatnot. Note: Okay, fine. There was no head tossing. He approaches the table. His eyes are wide. With appreciation. He is hopeful. His hopefulness is evident by his raised-eyebrow position and his shy smile. He stands there. We all look up at him. He glances about the table. Is that the new 3G? he asks, pointing at my iPad, Paddy, and in his excitement, his words come out quickly now. I havethewifi and iloveit and ithink iwanttheupgrade and isitworthit and canitakealook and haveyounoticedtheHDstreaming? Sweet Holy Moses! He's talking to me. Not the gorgeous creatures beside me! And he's talking to Paddy, yes. But his speech is directed to me! If I ask him to, I swear he would pull up a chair and sit down and babble and eat yogurt and admire me. I mean, Paddy. Of course that's what I mean. Ladies and gentlemen, I have discovered the secret to eternal youth and attractiveness: Technology! Not, not the Age Police. 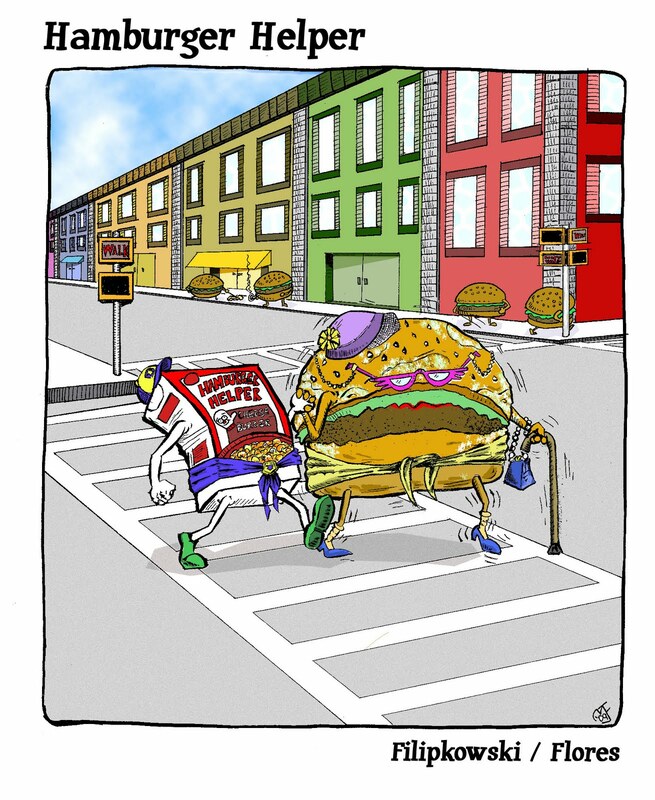 I am referring to the Mean, (Ecologically) Green, Debris-Eating Machines! Yup. The goats have returned from 'wherever goats go when they are not hired by the Winery down the street to eat everything in sight.' 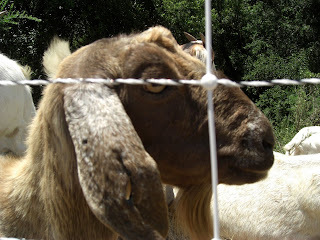 So, Rubi and I pop down to the visit the goats, who are not particularly amiable, it seems. I spend most of my time avoiding the electric fence and baaaa-ing, in vain, to get their attention while wondering about the goats. Note: I am wondering things besides where have they been all this time? I am wondering if all goats are named Billy? and I am wondering if lady goats are more attracted to the bigger-horned edition of the goats and I'm wondering if lady goats have horns also because that horned creature is either a lady with one impressive milk sac or that's a dude with the biggest you-know-whats in the history of the animal kingdom. Note: I apologize. But seriously. Everybody who has ever watched Funniest Home Videos knows that goats are mean and ghastly and I have the proof. Besides the aforementioned Funniest Home Videos, of course. The Age Police strike again. Blast. And now, the Age Police dare to imply that not only do I need hearing aids and elastic-waist pants, I must now consider a brand new problem. Of aging. I am sorting through the mail. I almost throw away the heavy envelope, with its discreet return address. Curiosity prevails. I open it. It is a brochure with a 60ish woman, which I am not.even.close, sitting on a stability ball somewhere in the farm country, with a dog, a schnauzer perhaps, poised beside her on his back legs, attempting to lick her face, it seems. Discover a perfect fit, it says. For your bladder protection needs. The brochure contains lots of information about uncontrollable urine leakage and customizable fit and Dry-Fast Core. Note to my Pilates Pals: Oh, yes. The Core. Do I hear a telephone ringing? Now, I don't mean to make light of the situation because bladder control issues are nothing to sneeze at. Note: Okay, you gotta admit that was hilarious. Sneeze at. Simmer down, everyone. It's just a little joke. And lest I have yet to secure my spot in hell, please take note of the Attractive Undergarment anatomically desiged for men that looks and feels like regular briefs, obviously. Note: I have nothing more to say. Speechless, yes. Someone is Talking About Me in a Bar Tonight. I hate when the dog is racing around, all excited, because she hears a jingling of car keys even though she is in the backyard at the time of the jingling and she sails in, all hopeful and excited to 'go' and I really am not planning to 'go' and simply need something from the car, which I now lock, yes, but then I feel obligated, to the dog, yes, because her eyes are wide with excitement, well, wider with excitement and she's racing around grabbing a favorite toy to bring along and shaking the living daylights out of it and so I grab her leash and she's already panting so I tell her to get a drink and then I realize that the sun is pretty bright outside and it's probably too warm for my sweatshirt, so I pull the sweatshirt over my head and inadvertently, everything comes off, and I mean everything because it's still early and certain supportive garments have not yet been strapped on and out of the corner of my eye, I see something moving in the backyard and then I realize that the darned pool guy is standing there (don't they ever knock?) and yes, he's over fifty and so, yes, I have made his day. Week, even. I'll Have a Cupcake. And a Side Salad, Please. I am thinking of cupcakes. Chocolate ones with peanut butter frosting and key lime ones with limey-cream cheese frosting and cream-filled vanilla ones with chocolate ganache frosting. I am thinking about a gluten-free chocolate cupcake with cream cheese frosting and a sprinkling of coconut. Because I am eating one. And it is delicious. 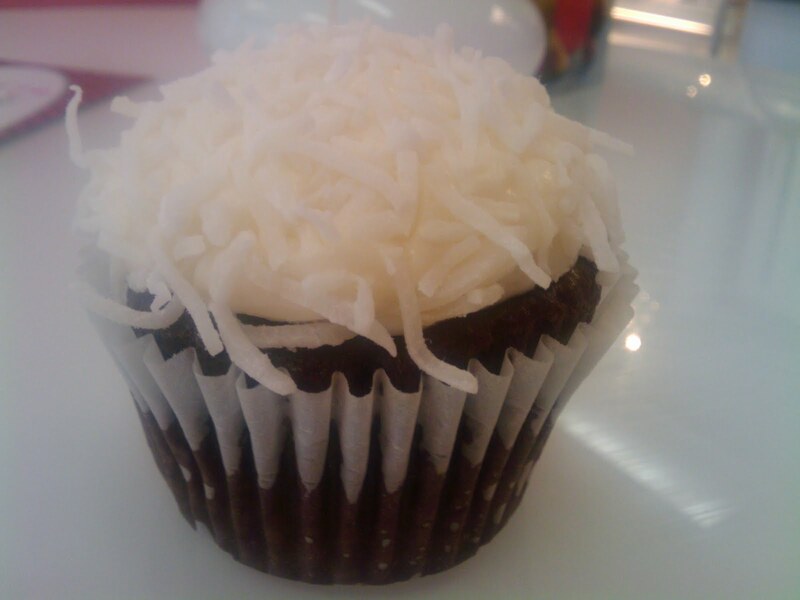 Then I wonder how many calories in a chocolate gluten-free cupcake? and I then I wonder how many calories in cream cheese frosting? and, of course, these answers and more are right here at my fingertips. On the internet. Tip: Try one of these other items instead of the Cream Cheese Frosting to consume fewer calories. Really? Cheese macaroni salad is considered a viable substitute for cream cheese frosting? On a chocolate cupcake? Still more? Glad you asked. Note: Huh. Crutches? Milking cows? Eating in church? Probably more of the gosh-darned Macaroni Cheese Salad, no less. My Toilet Seats. Beat the 'Crap' Out of Yours. Oh, I Said It. I have excellent news ... about my new toilet seats. It appears that after years of use, toilet seats may become less desirable to sit upon, mostly on account of the white finish sort of rubbing off and appearing unseemly. Note: With complete confidence, I state that my soft, delicate bum could, in no way, provide enough prickle or abrasion to cause such unseemly damage. So, Hub and I head to the home improvement center to buy new toilet seats. 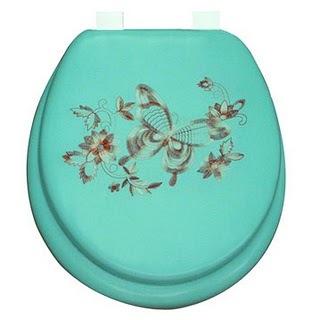 We are pleased to find that toilet seats are widely available in a variety of colors and styles. White or ivory, hard plastic or padded vinyl, wood grain or perhaps, on second thought, that seat is actually real wood because it certainly looks authentic. There are beautiful, bright blue seats and adorable, frilly pink seats and breathtaking SpongeBob seats and seats with incredible, hand--embroidered butterflies and flowers . There are even no-slam seats which eerily descend at a snail's pace from the 'up' position to the 'down' position. Wow. An interactive toilet seat. So we go out on a limb and buy white plasticky ones. But we splurge a bit, yes. 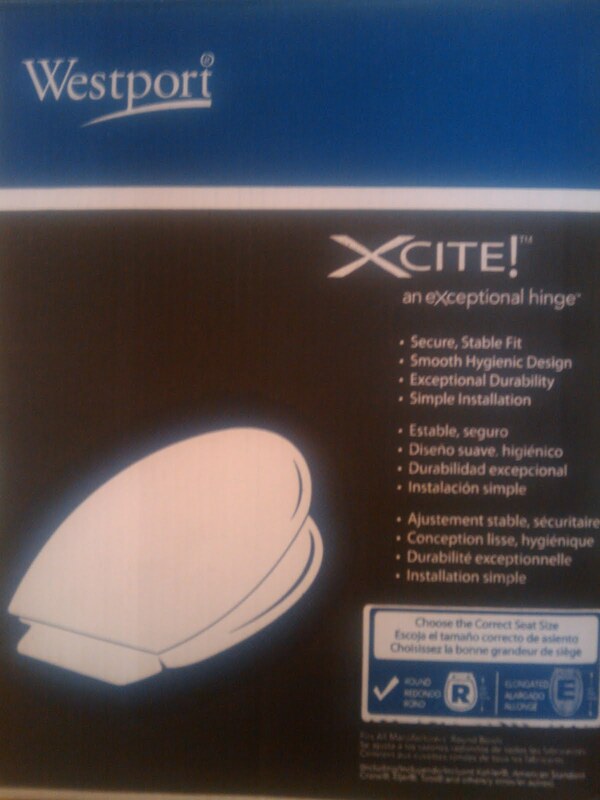 We buy the Westport Xcite toilet seat. Note: Xcite, yes. There is no way that I can make up such an incredible stroke of luck. I am now enjoying my three new toilet seats. And yes, they are XCITING. Very. And isn't the act of using an Xciting toilet seat really the quiet dream of every Trophy Wife? People can change. Their minds. And I have, yes. 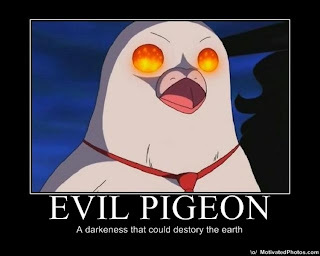 Before the Incident, I believed that those sharp prongs lining the eaves of the supermarket were cruel and inhumane to the fat little pigeons just wishing to roost there and raise a lovely little family. After the Incident, I believe that those sharp prongs are not sharp enough and perhaps, with enough effort, those prongs could become nice little kebabs for roasting instead of roosting. Before the Incident, I believed the gentle coos and warblings of the pigeon were soothing. Enchanting, even. 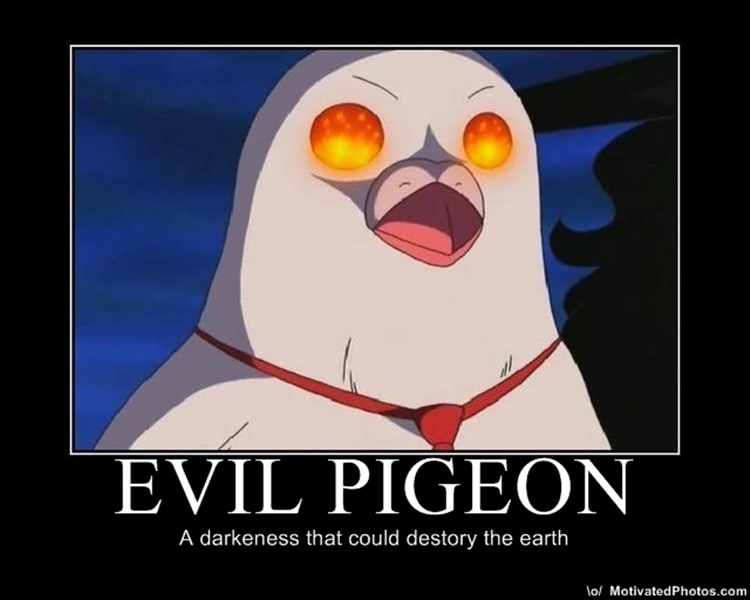 After the Incident, I believe that those same coos and warblings are the very voice of Beelzebub. Does anyone have a good recipe for pigeon stew? Return. Of the Oxy. Moron. Making sloppy joes, the ultimate Manwich-inspired, almost-but-not-quite Hamburger Helper, in my $200 All-Clad D5 Stainless Steel Saute Pan. Note: Hamburger Helper now comes in 'Whole Grain' Helper. No kidding. Topping my nonfat, sugar-free 9-calorie-per-ounce frozen yogurt with creamy hot fudge sauce. Watching the dude behind me, who is driving too fast AND on his cell-phone (a $142 fine in the great state of California) AND dangling a stinky, nasty cigarette between his fingers while exhaling stinky, nasty smoke and picking his nose and eating the stinky, nasty booger, probably. Note: Oops, my bad. That's not an oxy-moron. Just a straight-up moron. Spoons. And Dishing. No Moons, Gratefully. I am standing at the check-in counter at the hotel, which is always too high (have you noticed?) although I am not a short woman. Daughter and I are excited about our girls' getaway in Monterey. The lobby smells vaguely of cigarettes and sea air, a combination that reminds me of pirates. Aye, matey. Note: Any moment that is reminiscent of pirates is a good moment, indeed. The hotel check-in lady is chatty. She is saying one queen bed okay? and I am saying oh sure, I don't mind sleeping with my daughter, as I didn't want her to get the wrong idea about our relationship, obviously. She is still chatting. About having one bed. Women don't really mind, but men aren't as keen on the idea. Note: She did not say keen. I just wanted to include the word keen as it is highly underused in general conversation. Two men were checking in the other day, she says, and they weren't too happy about sleeping in one bed. She is giggling, now, thinking about it. One guy turns to the other and says, 'you want to be the big spoon or the little spoon'? Note: I am always the little spoon. I don't think I have really ever been the big spoon. Just saying.